Day to day, I don't have to wear a face primer to keep my makeup in place for longer; that's never been too much of an issue for me. But, when I know I'm going to wear my makeup for a long, busy day/night, I do like to wear one, to ensure that my makeup stays looking as good as it possibly can, without much work. Benefit's The Porefessional PRO Primer Balm has had a lot of rave reviews on the internet and has become somewhat of a beauty favourite by many, being one of Benefit's top sellers and, apparently, the number one selling primer in the UK! With that in mind, I just had to give it a whirl and see for myself. The Porefessional is a pro balm, used to minimise the appearance of pores and create a smoother, more even complexion; a perfect canvas for makeup. You can use it in a number of ways: under foundation, mixed in with foundation or over the top. I haven't tried mixing it in with my base, as I can't imagine it working well, but I have used it both under and over my foundation. Blending it over makeup is too much of a hassle for me because I hate having things on my fingers and need to wash my hands after using it. Also, it tends to rub off any makeup that I have on, especially on my nose. For me, the best way to use it is underneath my makeup. 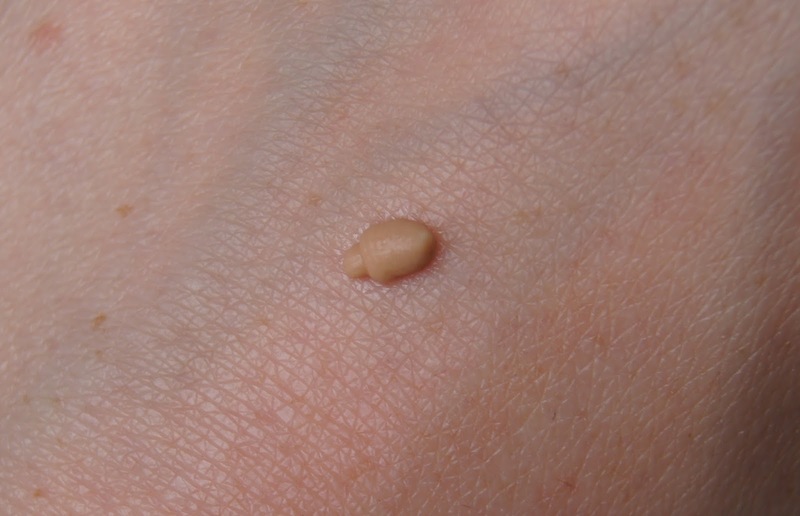 The oil-free silky formula is flesh coloured, but turns completely clear when applied onto the skin and doesn't provide any coverage whatsoever. This primer contains a lot of silicones and unsurprisingly, has a very artificial silicone feel to it, which I really dislike. Primers like this leave my skin feeling quite dry, but slippery at the same time, even though the finish is totally matte. If anything, my makeup lasts a considerably shorter amount of time when worn over this primer, if I apply too much, as it's too silky and means my makeup just slides around on top of it. I HAVE to wear powder to set my makeup when I use this product and then it lasts on my skin well. I've definitely found out (the hard way) that less is certainly more with this product. The less you use, the better the result. Feeling extremely lightweight on the skin, it doesn't feel like you have anything on (until you touch your face). Open pores aren't too much of a concern for me, with just a few small pores visible on my cheeks, next to my nose and, as promised, this primer minimises them until they're virtually undetectable. It would be perfect for those that have quite good skin without makeup, but want to fill in those pesky pores, rather than unnecessarily slap on layers of foundation to cover them. Also, I think this would be a great product for any guys that have large open pores, seeing as it is totally transparent on the skin. Since purchasing this myself, the design of the packaging for this primer has changed. With the more recent design looking rather girly, I actually prefer the design that I have. If any men wanted to use this to give their skin a smoother appearance, then the original packaging wouldn't be too feminine for them to carry around. The plastic, squeezy tube itself is small and you can squeeze every single, little drop out of it, which always makes me happy. If you did want to use this over your makeup, in place of a powder, it won't weigh your makeup bag down when on the go. I find the price of this to be extortionate at £23.50 for just 22ml, which is something else that puts me off. When this tube is finished, I definitely won't be shelling out for another; it is just not worth it. The Porefessional is just an OK product, for me. In the hope that my complexion would be transformed into something that Barbie would envy, I was disappointed. 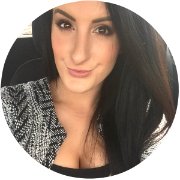 Unfortunately, Benefit's Porefession PRO Primer was nothing special for me and I could happily live without it. But, if you have a real problem with open pores and an uneven skin tone, then you may find that this will soon become your holy grail product, like many others have. 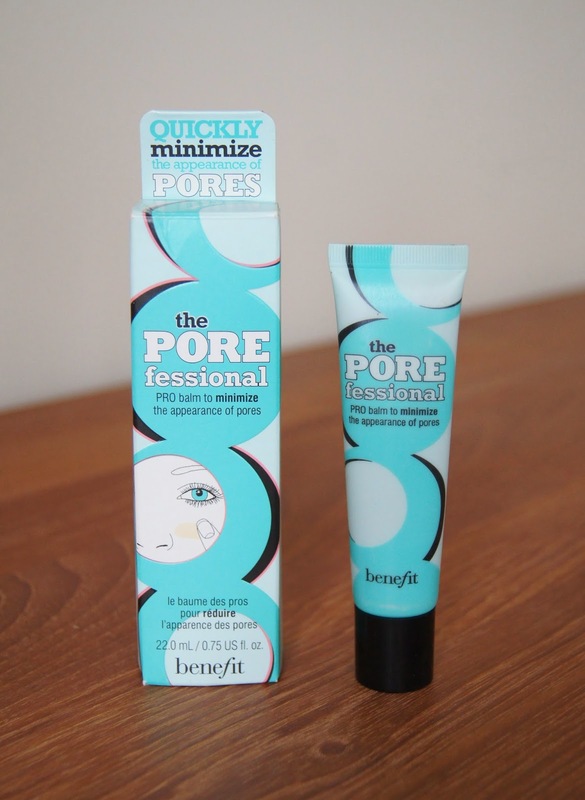 Have you tried Benefit's Porefessional Primer?